The many discussions on defining the various possible characteristics of the ‘museum of the twenty-first century’ have included: a place for global dialogues; a new type of ‘social’ space; and a laboratory of ideas. The architect of the Tate Modern Tanks project, Jacques Herzog, has likened the series of spaces to an ‘instrument that can be played in many ways’. How would you describe your curatorial approach for the Tanks? If you look at the evolution of museums, they were set up in a structured way to display and preserve objects. When Tate Modern opened, the public’s view of what a museum might be changed radically. The Turbine Hall became a piazza-like social space. So when we were devising the curatorial programme for the Tanks, we thought about how these two aspects could come together. It could be a place for both contemplation and spectacle and interaction, while showing how contemporary art practice has evolved since the 1950s – particularly in areas such as performance, film and works that involve active social relations which have historically been overlooked in the Tate Collection, or that are seen as difficult to show in terms of space and audience. These kinds of non-object work shift the co-ordinates we bring to the experience of art. Conventionally, one’s encounter would be very much about looking: at painting or sculpture. This changed during the 1960s towards a more physical relationship to art objects and an emphasis on ‘space’. But in much contemporary art we experience the work not only through space and time, but through an awareness of the encounter having a social dimension, often a sense of reciprocity, even, via the act of participation. So it’s not only the nature of the Tanks’ architectural spaces that is different – they’re round, concrete and raw, as distinct from the clean-cut lines of the modernist white cube. The programme places an emphasis on the audience’s physical presence and attention, whether surrounding a performer or walking into an expanded cinema installation, as a kind of ‘soft architecture’ too. Is the programme reflecting recent tendencies in art, or is there going to be a more historical outlook? It’s going to be a combination of the newest work, but also forging a path backwards from the present. Often live art or performance is thought about as being the latest thing, because it happens in the present tense. What we want to do as a museum is show that it has a long history in the past century, especially since the 1950s, and how this language of live movement, gesture and actions evolved and created a rich and complex vocabulary that younger artists can draw upon. The emphasis on live art is obviously about experimentation, but they’re not just making up a new kind of artform on the spot. The past and present exist simultaneously in such live works. It can never be literally historical if it’s happening in the moment. If you follow the trajectory of the kinds of work we’re talking about, which really have very deep roots at the beginning of the twentieth century and of modernism, they have taken on different forms and inflections throughout that time. But more often than not, their origins were in spaces other than the major museum or the collecting national institution. They were more likely presented in smaller, artist-run alternative spaces such as The Kitchen in New York, LACE in Los Angeles, or the London Filmmakers Co-op – spaces that were often devoted to this kind of experimentation. Because Tate is a collecting, archival institution, it frames another set of questions that we’re trying to engage with. It’s not only a matter of rediscovering historical practices that might not have always been situated properly in an art historical conversation. It’s important to think what it would mean to collect such ephemeral, time-based work. If this work sits officially in an archive such as Tate’s, how do you activate it? How do you prevent it from just being dead material in a database? Because so much of what we are doing is live, we want to ask: how can you animate history? How can you create an experience of history that’s not a passive one, that’s not about putting something in a vitrine as a trophy, but a history that can actually be experienced socially and live? That’s quite a challenge for Tate, which, like other art institutions, has historically been about passive viewing. It has been one of the big challenges we have faced doing the live programme over the past ten years. Traditionally, the museum is set up to preserve things, and so the works that we are presenting live – which occur and then vanish – explode the system. In a sense, they reinvent or supersede it. You come and experience a performance, and that experience, in that moment, burns into your own memory. It’s not to do with whether the museum holds it forever as some kind of archival document. We are experimenting with that tension. This comes back to the idea of the museum as a social space. One of the aspects that has been highlighted in this programme is how we invite visitors to question what it is they are experiencing. For example, there will be a series of questions on the walls that we will be asking – questions investigated by the artists and generated from the whole programme, rather than statements telling people what the work means. Such as: ‘Can art be a catalyst for social and political activism?’ Or: ‘What is the viewer’s role in a live art performance?’ This sets a very specific tone, and there is a generosity about the approach which is important. One of the first things we are exploring in the opening programme is the idea of ‘the encounter’. An encounter can be between two people; it can be with a person and an object; or it can be something more complex, where the viewer is placed in a dialogic relationship with the artwork, or within a structure or system created by the artist. As well as thinking about the social space, we have looked at the history of the ritual of behaviour in a museum, and how it has changed from the early twentieth century to today. Many artworks encourage a change in behaviour, as does the way the piece is framed and put in a space, although these shifts have developed in parallel to the increasing emphasis on the experiential in mass culture. This raises museological questions about the role of the institution. And what happens when we show these artists and genuinely commit to this kind of participatory and dialogic practice, where the audience’s knowledge and experiences are part of the work? I’m increasingly interested in the idea: can an audience be an archive? This programme will activate or engage our audience, we hope, in a different way, and because we’re now in a moment dominated by social media, the experiences they’ll be having will immediately be recorded and disseminated in a manner that is unprecedented historically. 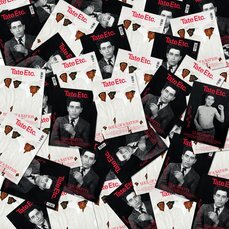 There is this kind of public database that is a parallel and mirror to Tate as a recording machine for its own history and the objects that it’s meant to preserve. So it sets up a completely different way of thinking about the archive. Stuart, as the curator of film at Tate, can you describe your curatorial approach to this new strand of the programme? For the past few years here at Tate we’ve been examining histories of expanded cinema. One key moment within that history was the Filmaktion group in London in the early 1970s. For the introductory programme, I wanted to think about this idea of projection as action, as a performative medium in itself, and the ways in which artists such as Malcolm Le Grice and Annabel Nicolson were taking the apparatus of cinema and bringing their physical bodies into the equation, interrupting the traditional, passive experience of cinema. We are going to revisit that work, and its ripple effect, looking at much younger artists who have a relationship to it, but who are working very differently now. We will also follow up on ideas raised by Tacita Dean’s Turbine Hall commission FILM 2011–12 about what it means to be at the closing end of analogue culture. As these artists have tried to inhabit and interrupt the moving image or the cinematic apparatus, what happens when that becomes increasingly digital and more virtual? Traditionally, the work of education or learning departments within galleries has been seen, rightly or wrongly, as an ‘add-on’. Emily, how is your approach going to be different? It’s more integrated and cross-disciplinary, which has allowed an exploration of the interesting overlaps between curatorial and learning practice. For instance, the work of an artist such as Suzanne Lacy can be allied to certain practices within the learning programme, and poses key questions, such as: where does participatory practice begin and end? What happens, for example, when her The Crystal Quilt 1987, a multidisciplinary tableau performed by more than 400 women aged over 60, comes into an institution? The learning strand will work with artists who are specifically concerned with enabling visitors to generate new understandings. Equally, some artists and musicians in the youth programme aren’t necessarily those who would conventionally find a space within an institution such as Tate, but are asking similar key questions in their work. Some of the important historical performance and interactive practices that we plan to re-present in this programme, such as The Crystal Quilt, exist primarily as documentation, and they will be brought into dialogue with new projects that similarly engage community as a live process. These historical works create new templates for what art can be. And we are showing two important recent Tate acquisitions, Lacy’s The Crystal Quilt and Lis Rhodes’s Light Music 1975, which, we think, are emblematic of the kind of programme we are aiming to do in the Tanks, while playing a key part in the direction in which Tate as a whole is evolving. The new spaces will give an opportunity to programme work that relates to those source pieces. Both The Crystal Quilt and Light Music deal with a notion of modernist form, pattern and abstraction, but these are opened up and animated to take on a more social dimension that foregrounds an embodied experience. 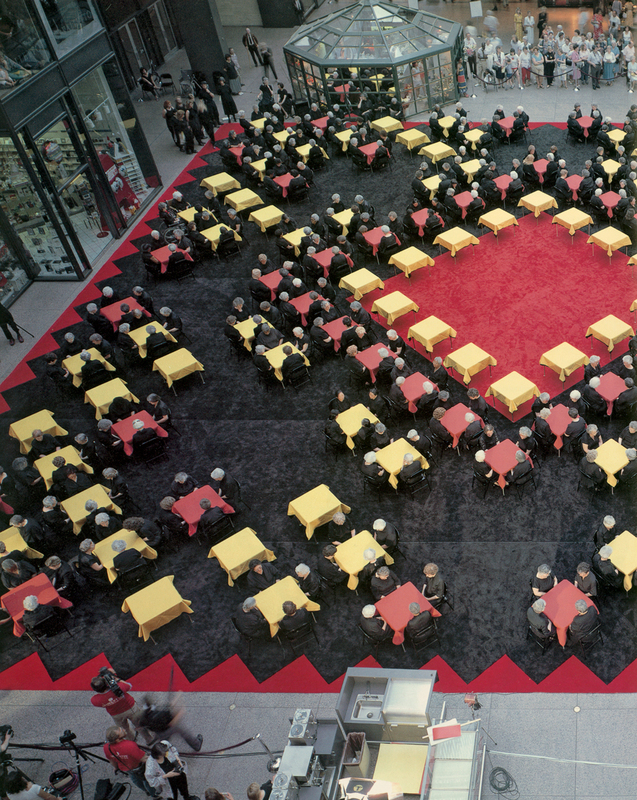 For example, with Lacy’s work there is a conversation going on between the different elements – between the original action involving the group of women, the quilt designed by Miriam Schapiro, an abstract painter and major figure in feminist art, and the live television broadcast of the event. All of these elements tap into the different layers of what an artwork might be. The spirit of the Tanks, like Tate as a whole, is driven by paying attention to artists and art. I think the kind of work we are programming, as well as the historical pieces we will show, almost refuses the institutional question of ‘integration’ – learning versus programme. The artists ignore it fundamentally. And that’s what’s exciting. We are almost trying to catch up with those works. And some works, such as those by Tania Bruguera, refuse categorisation as either art or social situation. For example, she recently set up the Immigrant Movement International in America, which is a political movement based in Queens, New York. Her day-to-day running of that means working with people who live nearby and supporting them in many ways, providing things such as English classes and legal advice. But on another level, it exists as an artwork through its action-based elements and the ability of the artist to disrupt, intervene and change the existing systems. This blurring of reality and what constitutes an artwork that we then take into the museum is confusing and messy, but it’s what makes it interesting. Bruguera describes this as ‘behaviour art’, where the artwork is the lived experience. She also sees it as ‘useful’ art. The opening programme is in many ways a testing ground for how Tate’s going to be changing by 2015, so this period will help us to see how these kinds of works can be both integrated into, and continue to challenge, the core of what ‘the museum’ is, and what Tate Modern is. And we would like our programme to be an open manifesto – a manifesto as a question through which we want to invite the public to be part of shaping how this programme and these new spaces will define the museum of the twenty-first century. From Tate Etc.. magazine issue 25, Summer 2012. Subscribe from only £15 per year. The Tanks 2012: 15 Weeks of Art in Action, Tate Modern, 16 July – 28 October. The Tanks programme is supported by a number of private donors. The Tate Modern Project is being made possible with the support of the UK Government, the London Development Agency, Tate Members and a number of private donors. Article: Who is Suzanne Lacy?